As Thanksgiving approaches – rather quickly – I think it is high time I remind you about our perfect pies. In addition to serving all of our classics, we are also introducing a newbie to our pie lineup (you won’t be disappointed). So let’s do this. Bring Baked to your Thanksgiving table. Everyone’s Favorite Pumpkin! 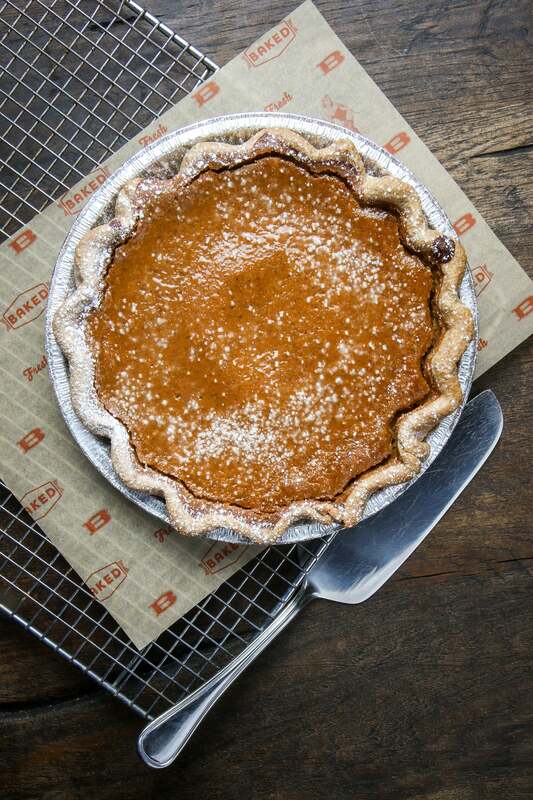 Before there was pumpkin spice everything, there was Pumpkin Pie, and our version is so classy and classic and perfectly spiced. Chocolate Bourbon Pecan! 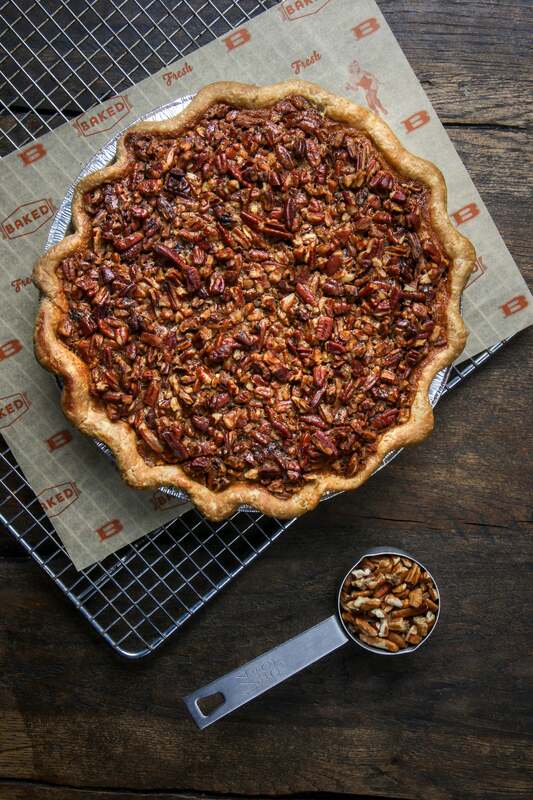 Yes, bourbon and chocolate because pecan pie should be all things to all people. Apple Crumb! 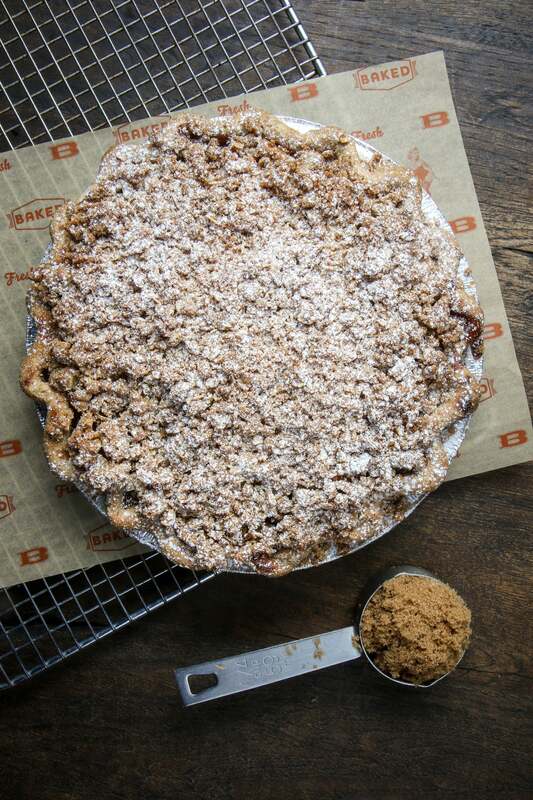 New Yorkers like crumb (the more crumb the better) hence, our classic cinnamon apple pie with brown sugar crumble. Simple, yet perfect. Chocolate Cranberry Chess Pie! She’s brand new this year and OMG…Cranberry compote. Chocolate custard. Yes, please. Second, call our stores to place your order. Dial 212.775.0345 extension 1 for our Red Hook store and extension 2 for our Tribeca store. It is that easy. If you don’t live nearby, never fret, a few of our pie recipes are floating around the interwebs. Or maybe you want us to send you brownies? 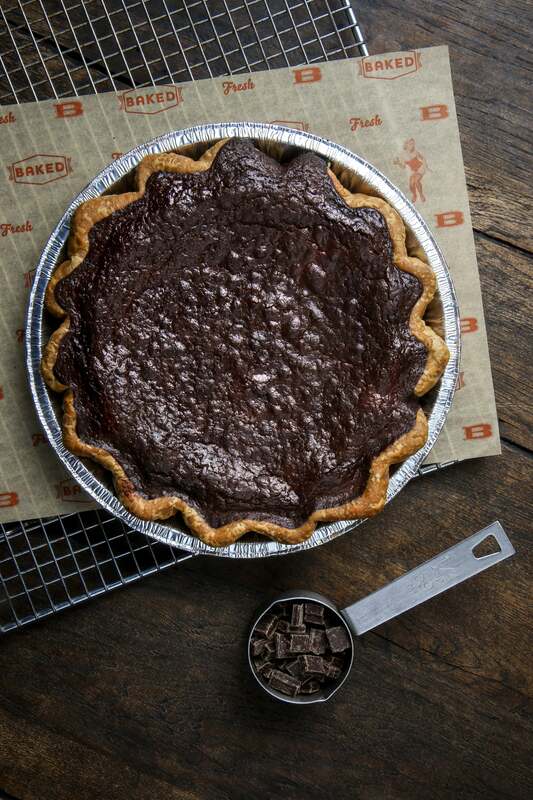 Brownies and pie are like Bert and Ernie – they go perfect together. Order now and we will ship them in time for your feast.